The history of Reading, will always include the famous Lion. 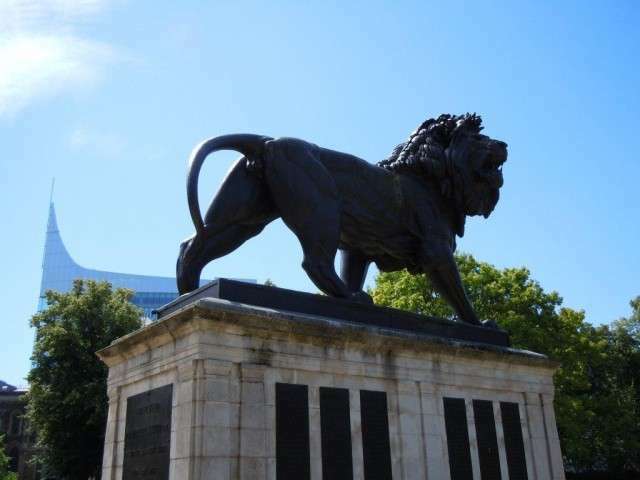 The Maiwand Lion in Forbury Gardens is the unofficial symbol of Reading, commemorating the fallen men of the 66th, the Berkshire Regiment at the Battle of Maiwand in 1880. 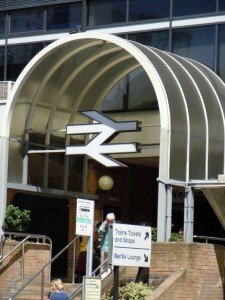 The first written mention of a settlement in Reading was in 4 January 871 with the battle of Reading fought between the Danes, King Ethelred and his brother Alfred the Great. The town was was then known as Readingum. The name probably derives from Readingas, an Anglo-Saxon tribe whose name means “Reada’s People”. 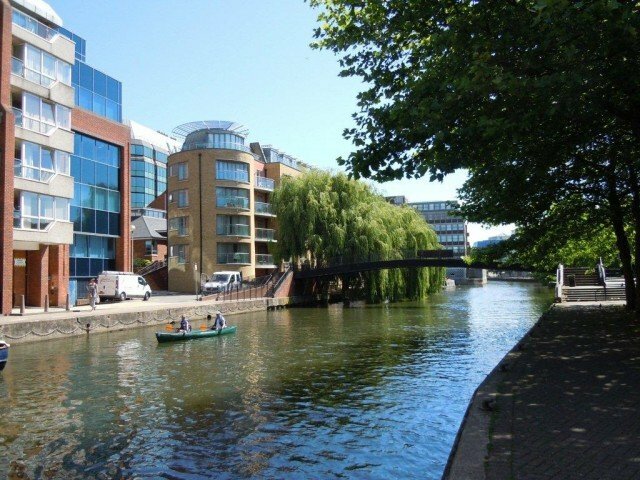 Reading was actually founded around the 6th century by Saxon people who had travelled up the Rivers Thames and Kennet finding it a suitable place to settle as it was possible to ford the River Kennet. The Domesday Book records Reading as being a typical small town until founding of the Abbey in 1121 which changed the fortunes of the town and with the Wool Trade, made the town extremely prosperous. 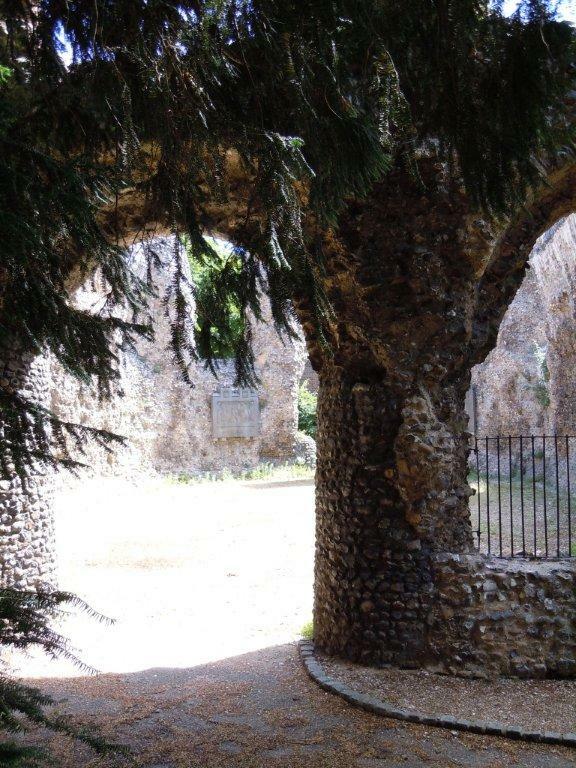 The Abbey was founded by Henry I who is buried within the Abbey grounds. It was however predominantly destroyed in 1538 during Henry VIII’s dissolution of the monasteries. The last abbot, Hugh Cook Faringdon, was subsequently tried and convicted of high treason and hanged, drawn and quartered in front of the Abbey Church. During the 14th century the Black Death swept through England decimating the population. There are no records in history to report how badly Reading was affected but in 1361 the abbot of Reading Abbey, Henry of Appleford, became one of its victims. In 1525, Reading was the largest town in Berkshire in 1525 and by 1611, the population was over 5000 people having become prosperous from its trade in cloth. In 1628 The Oracle was one of the earliest workhouses built in the country and its primary use was for the production of cloth. 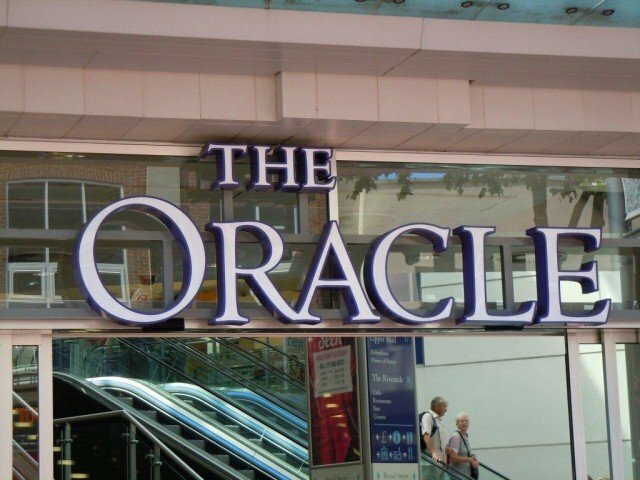 It is from The Oracle that the new shopping centre takes its name. The 200,000 bricks and tiles needed for the building of the workhouse were generously supplied by a Mr Brockman, from Tilehurst, at a cost of twelve shillings and sixpence per thousand. From 1996-1998, a team of archaeologists from Oxford Archaeological unit worked on excavating the site of The Oracle development prior to the building of the new shopping centre. Below the remains of the workhouse were the pits of a 16th century tannery. A wooden vat would have been set into a clay lined pit, containing tanning liquor consisting of urine and dog faeces in which the animal hides were soaked. 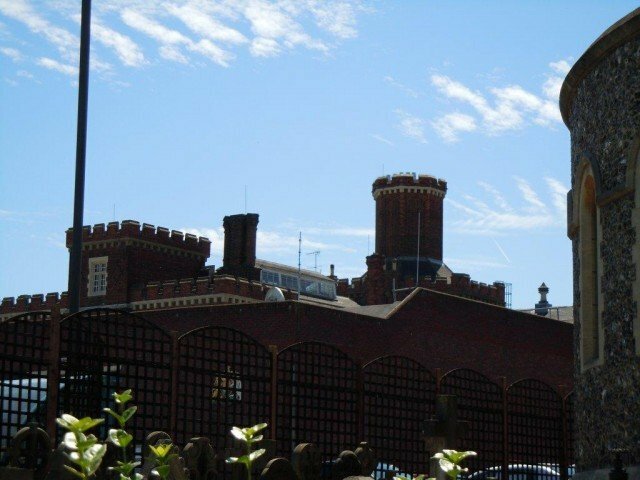 In 1844 the current Reading prison was built to a design by George Gilbert Scott based on the cruciform design of London’s Pentonville Prison. It was also a site for executions, the first one being carried out in front of a crowd of 10,000 in 1845 and the last one in 1913. There was an earlier gaol in Castle Street situated where St Mary’s Church now stands. It came into use in the latter part of the Stuart period and prisoners were chained in the underground dungeon having to rely on food provided by friends and family. Things are rather different today as Her Majesty’s Reading Prison is now a Remand Centre and Young Offenders Institution, for prisoners between the ages of 18 and 21 years. The most famous inmate was Oscar Wilde who was imprisoned in 1895 and upon his release in May 1897 wrote The Ballad of Reading Gaol which was published 1898 under the name C.3.3., which stood for cell block C, landing 3, cell 3. The town changed hands a number of times during the English Civil War but it finally had a Royalist garrison imposed on it in 1642. However, in April 1643 the Parliamentary forces defeated the Royalists at the Siege of Reading but the town was left with a high price to pay. The exorbitant taxes left Berkshire in a very poor way and the town’s cloth trade was hit particularly hard, ensuring the economy did not make a full recovery until the 20th century. In the 18th century a major iron works was established in the town and the brewing trade, which subsequently made Reading famous, also flourished. Agricultural produce from the surrounding areas still used Reading as a market place, especially at the famous Cheese Fair held every September in the Forbury, but now trade was now also coming in from further afield. With the rising popularity of Bath, Reading’s trade benefited from improved turnpike roads which helped it establish it on the major stage coach routes from London. 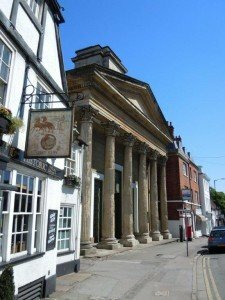 Two of the major coaching inns still survive today. 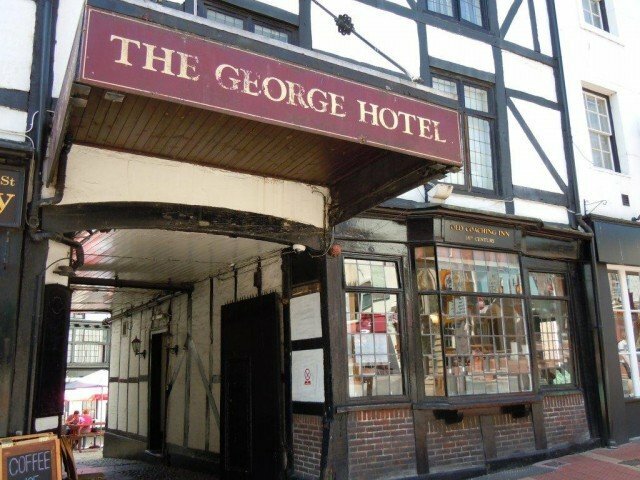 The George on Kings Street dates back to 1423 and is one of the oldest buildings in Reading town centre, still retaining many of its original features. The Sun Inn in Castle Street dates back to the 13th century. In the back yard there is a Norman arch which used to lead to a large underground hall, which unfortunately collapsed in 1947, where the undercroft could accommodate up to fifty horses. It was also used for prisoners awaiting execution from the gaol next door. 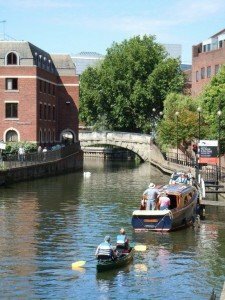 In 1723, the Kennet Navigation opened the River Kennet to boats as far as Newbury and when the Kennet and Avon Canal opened in 1810 it was possible to go by barge from Reading all the way to the Bristol Channel. In Victorian times transport was further improved, with the coming of the Great Western Railway in 1841 followed by the South Eastern Railway, in 1849, and the London and South Western Railway, in 1856. These excellent transport links helped local companies grow and vastly improved the economy, thus making the town larger. In 1801 the population of Reading had risen to about 9,400. By 1851 the population exceeded 21,500 and by 1900, the population was over 59,000. Reflecting this rapid 19th century growth large sections of the housing in Reading from this time are terraced. The town was by now famous for the “Three Bs” of beer (Simonds’ Brewery 1785), bulbs (Suttons Seeds 1807–1976) and biscuits (Huntley and Palmers 1822–1977). In the 19th century the town also produced ‘Reading Sauce’, similar to Worcestershire Sauce and described as being a sharp sauce flavoured with onions, spices and herbs. Bruise the shallots in a mortar, and put them in a stone jar with the walnut-liquor; place it before the fire, and let it boil until reduced to 2 pints. Then, into another jar, put all the ingredients except the bay-leaves, taking care that they are well bruised, so that the flavour may be thoroughly extracted; put this also before the fire, and let it boil for 1 hour, or rather more. When the contents of both jars are sufficiently cooked, mix them together, stirring them well as you mix them, and submit them to a slow boiling for 1/2 hour; cover closely, and let them stand 24 hours in a cool place; then open the jar and add the bay-leaves; let it stand a week longer closed down, when strain through a flannel bag, and it will be ready for use. The above quantities will make 1/2 gallon. In 1822 Huntley & Palmers started life as a small bakery in London Street run by Joseph Huntley and his son Thomas. In 1841 he was joined by his cousin George Palmer and in 1846 they opened a large factory on Kings Road. By 1900 their business was the largest and most famous biscuit manufacturer in the world, employing over 5,000 people and producing over 400 different biscuit varieties. Huntley & Palmers will always be written in history as a Reading town business. In 1839 the Royal Berkshire hospital opened and the first Reading cemetery opened in 1843. 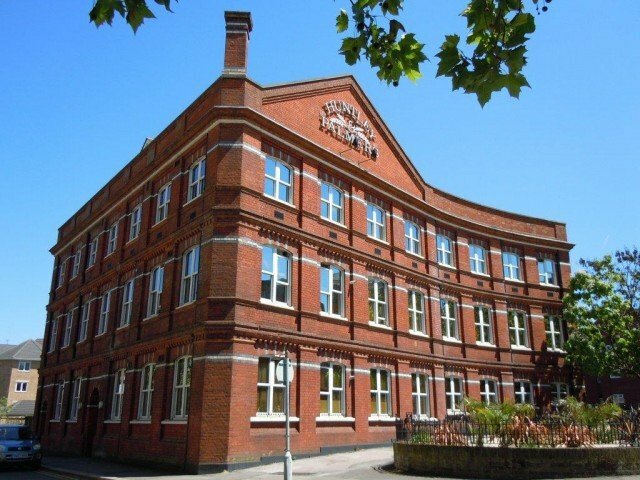 With the coming of the M4 during the 20th Century, Reading changed from a manufacturing town into a town of blue chip companies and high tech industries. 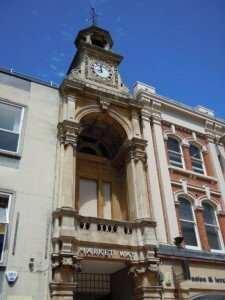 We are lucky that Reading is a thriving modern town that still manages to retain its historical identity. It has over 1,100 noted sites, ranging from the discovery of Stone Age tools, to the remains of the medieval town and of 19th and 20th century industry. 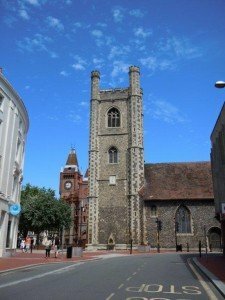 There are 4 grade I listed buildings in Reading, Reading Abbey, Greyfriars’ Church, Reading Minster and St Laurence’s church as well as 25 grade II* listed buildings and 853 grade II listed sites. The history of Reading is in safe Hands.